Advanced terminal management systems like OpenTAS digitize and modernize the entire tank terminal business – and deliver many competitive benefits. However, legacy field devices can often be a stumbling block in modernization projects because they speak a different language than today’s software. The TCP-X-Unit is the compact solution for communication between field equipment and the terminal management system: The powerful microcomputer translates the signals provided by existing loading equipment and transmits it to state-of-the-art software via the Internet – without requiring any investment in new field devices! Just connect you field equipment with the Internet and get ready for the Internet of Things. The TCP-X-Unit ensures that you never lose sight of your data. Operate the device remotely and monitor the transmitted data from anywhere. One TCP-X-Unit controls up to three peripheral devices, thus reducing hardware costs. 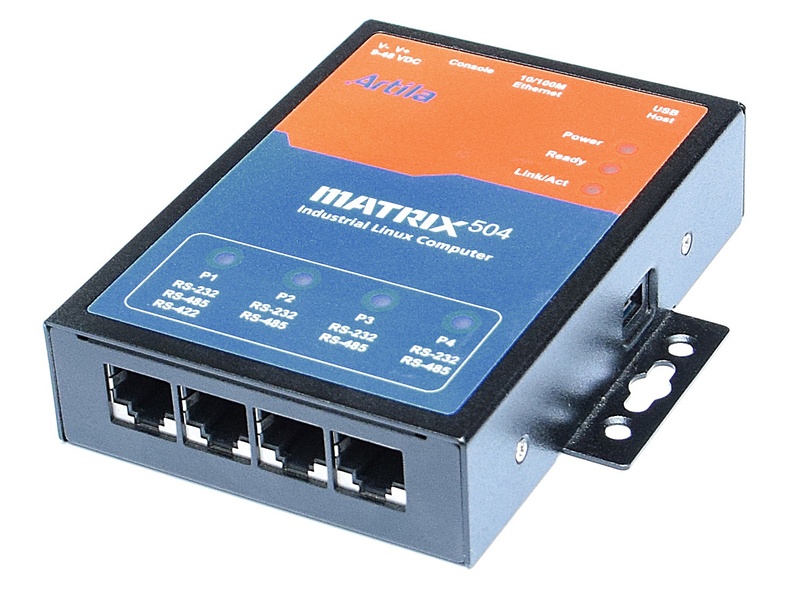 The Matrix-504 microcomputer now delivers even more performance: three ports, a powerful processor, plenty of RAM. The Unit has been designed specifically for rough environments: no movable parts, robust casing, explosion-protected. Thanks to its web service, you can launch, configure, maintain and update the TCP-X-Unit remotely via your Internet browser. The remote monitoring feature enables you to always keep track of the information transmitted. The TCP-X-Unit supports the types of field equipment most commonly deployed by tank terminals and refineries: MCO1, Siemens-3964R, TRANSPARENT, SMITH, MODBUS ASCII and MFX80. Replacing a failed TCP-X-Unit has never been easier: Staff simply connect a preconfigured backup device. Then the IP address is set. Everything elese is handled automatically by OpenTAS. Learn more about the TCP-X-Unit! We would be delighted to tell you more about the TCP-X-Unit and its functionalities.